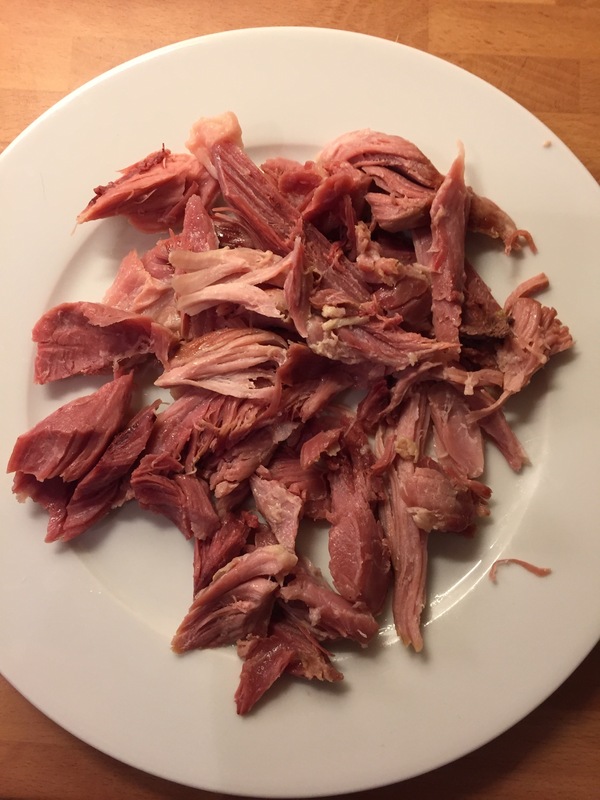 Rummaging through my freezer, trying to clear some space I found a ham hock that I’d bought and thought what a perfect Sunday lunch. The hock was ridiculously cheap, less than £2, and its a great cut to slow cook in water. 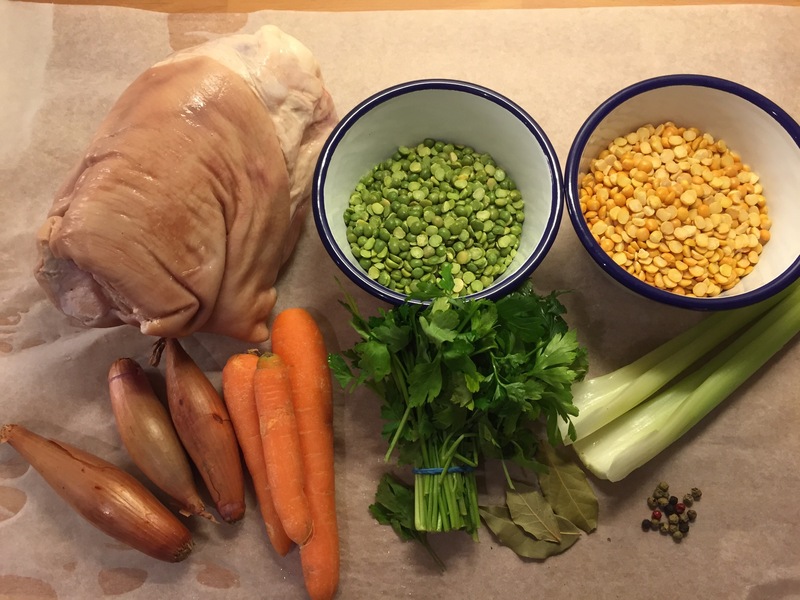 So I assembled some stock ingredients and some pulses that if added make up a soup. I put the hock in a large saucepan with carrots, shallots, celery, pepper corns, bay leaves and parsley and slowly simmered it for three hours. Half way through I added the split peas and yellow peas. After three hours the ham was cooked to the fall of the bone stage and the peas had cooked and broken down too. 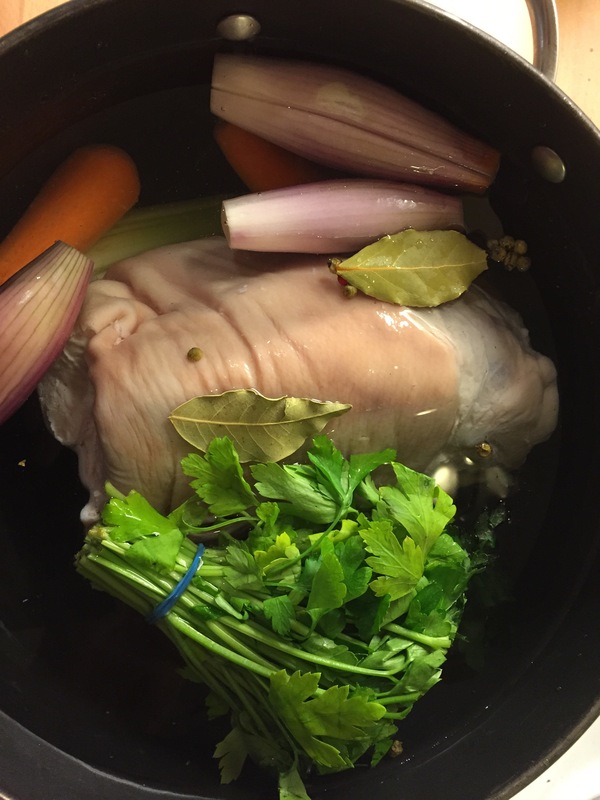 I then pulled out the hock, put it to one side to cool and fished out and discarded the stock vegetables ( they have done their job imparting flavour by this stage and aren’t great to eat) . 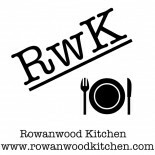 If you want standard pea and ham soup you can stop here. Season and liquidise the soup and add chunks of the ham. However I fancied something a bit different so I added some Indian spices. 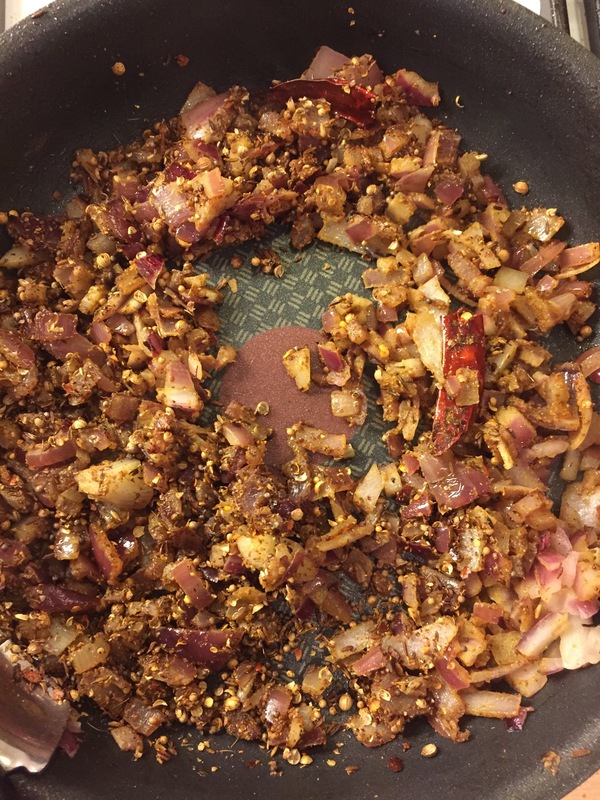 I gently fried a chopped onion and then added some ground roast spices, mustard seeds, coriander, cumin, Chilli and garam masala. When this was cooked, and you’ll know the smell is amazing, I added it to the soup and liquidised. 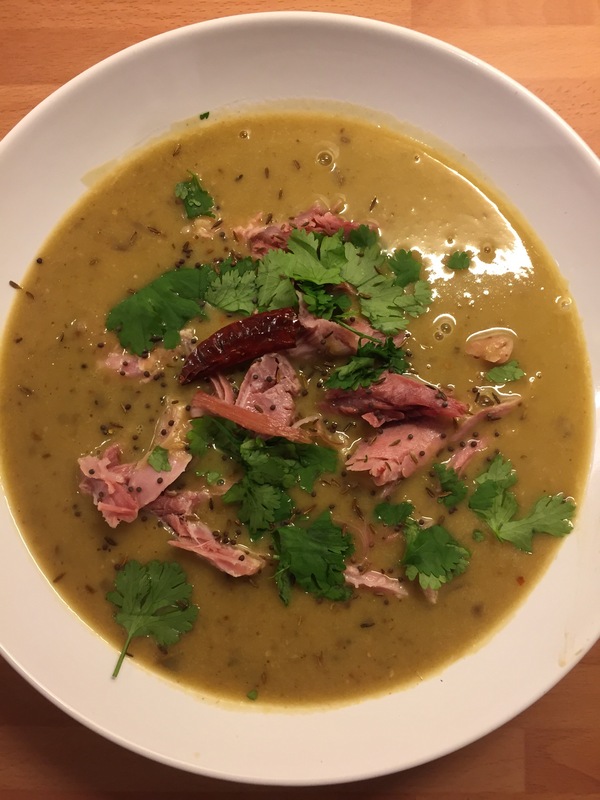 I then added some ham hock to my soup plate, sprinkled with roast cumin and chilli and finished with fresh coriander. The soup was really substantial and easily made a main meal. The pot had yielded about six portions, which is now filling the free space left by the hock In the freezer. This freezer emptying exercise is very hard! This entry was posted on December 1, 2014 by paulb in Meat, Soup.